Nigeria Football Federation (NFF) president, Melvin Amaju Pinnick has sent words of appreciation to Delta State government for agreeing to sponsor three international matches at Stephen Keshi Stadium, Asaba under a week, footballlive.ng reports. 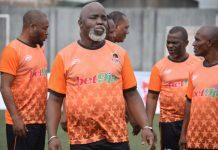 Pinnick disclosed that Delta State ensured that players of the Nigerian teams, Super Eagles and Olympic Eagles, had the best level of comfort before their matches against Seychelles, Libya and Egypt respectively, while all the visiting teams were also treated well. Pnnick’s message of appreciation came at a point observers raised eyebrows over a setting that saw Nigeria send an aircraft to lift The Pharaohs of Egypt to Asaba for Tuesday’s friendly against the Eagles. In contrast with usual situations in which visiting teams pay their way to honour away matches, a special arrangement between the NFF and Delta State provided a strange scenario in which the Egyptians waited for an aircraft to fly them into the host city. 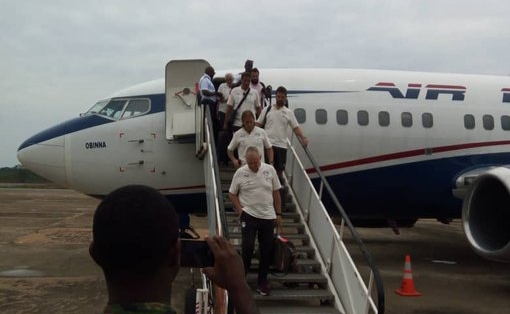 Consequently, a chartered Air Peace plane first flew to Niamey, Niger Republic to pick The Pharaohs and airlift them to Asaba, where they will confront Nigeria on Tuesday evening at Stephen Keshi Stadium. 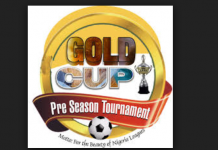 The Pharaohs’ delegation of 24 players, 21 technical and backroom staff and five journalists landed at Asaba Airport on Sunday afternoon, and were quickly moved to their lodgings at Golden Tulip Hotel. 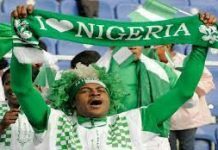 They were billed to have the first and only training session at on Monday evening at the match venue, after the second leg of the Africa U23 Cup of Nations qualifier between Nigeria and Libya. While thanking Delta State governor, Senator Ifeanyi Okowa for putting everything in place to make both teams feels at home in Asaba, Pinnick, who is an indigene of the state, noted the far-reaching efforts taken by the government to host three international matches in five days. “We are grateful to the Delta State Government for hosting the three games. NFF does not deemphasise the welfare of the players. “The Eagles match allowances have been paid in full by the Delta State Government and they don’t have anything to worry about,” said Pinnick. AC Milan banned from European football for TWO YEARS.